Our architectural details for this Greensboro, NC porch made remodeling worthwhile. Our light fixture is amazing, at 48" wide, it's the perfect size and scale. 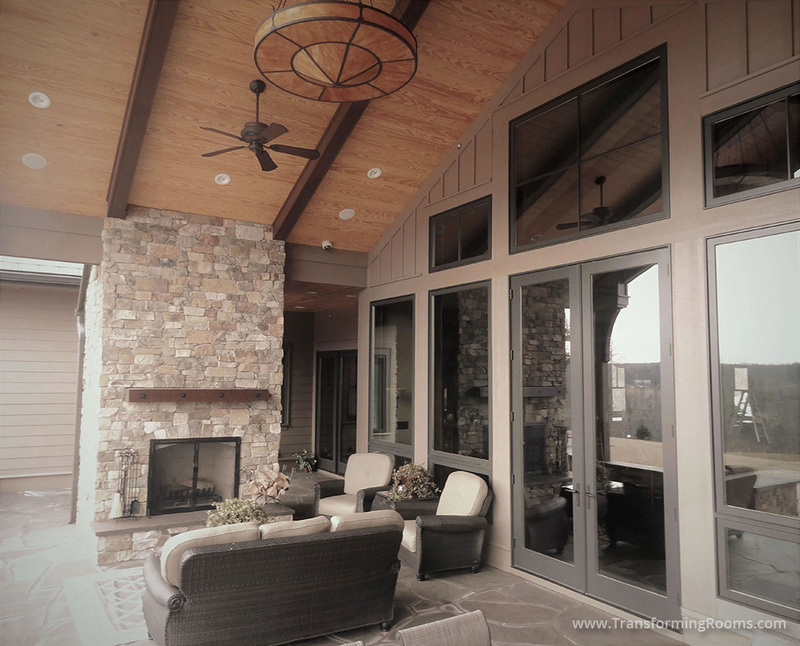 The stone fireplace makes the space cozy and functional. The slanted beamed ceiling allows the owners to view the stars at night!